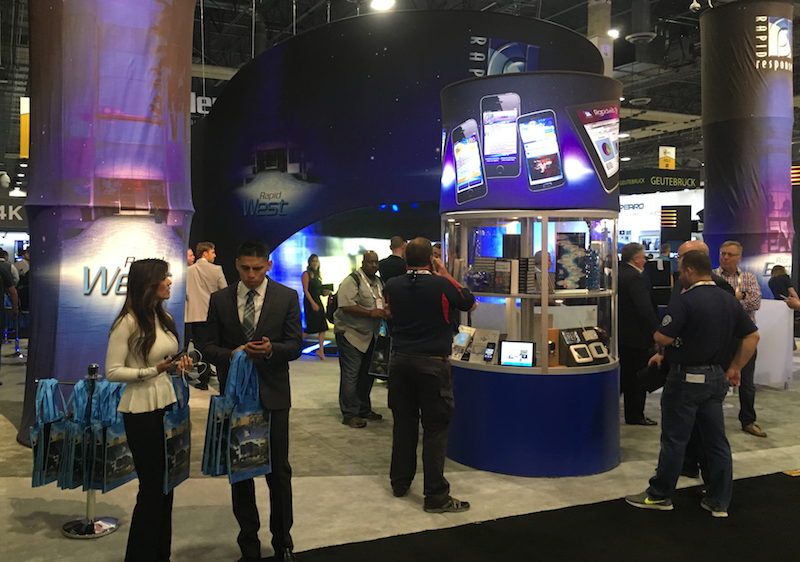 ISC West 2018 had strong attendance, modest overall new products, and a surge in Artificial Intelligence marketing. Compare to our 2017 show report, 2016 show report, 2015 show report, 2014 show report and 2013 show report. 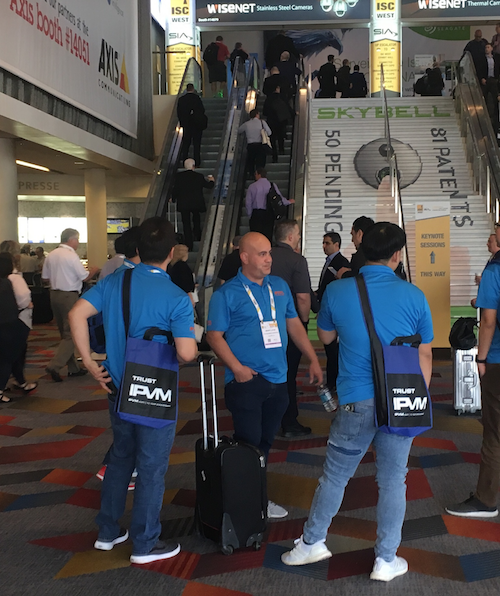 Compared to ISC West 2017, the biggest emerging trend this year was artificial intelligence, most prominently by Chinese manufacturers. And it was not simply Dahua and Hikvision, it was various smaller companies. 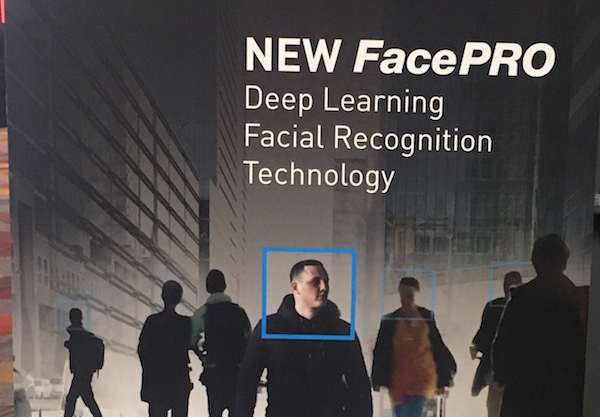 Panasonic, in addition to OEMing Chinese cameras, has joined the deep learning / AI movement, as well, with their FacePRO facial recognition. Their ads boldly (and irresponsibly) show subjects recognized despite faces being blurred or obscured. Why this is happening is simple. The Chinese government is spending massive amounts on AI / deep learning / video analytics, which understandably is motivating suppliers, especially inside of China, to market these offering. The problem is there is very little indication that these companies who have struggled with basic software development have pivoted to being computer vision experts. The learning is evidently not that deep nor intelligent. And their booth was filled with AI and many offerings not available for sale in North American. 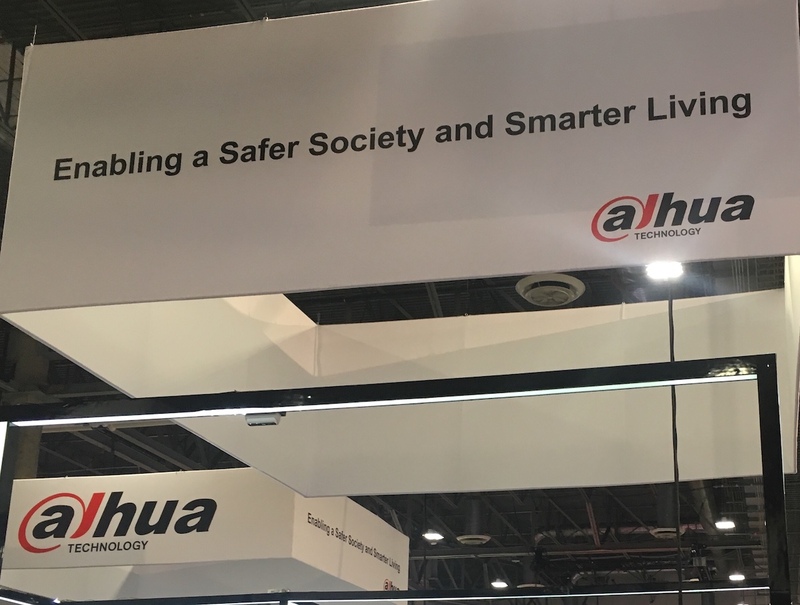 Dahua has one of the industry's top marketing people but reassigned her to business development, where she can now develop business for AI solutions that likely will have major problems and other products marketed but not sold in North America. 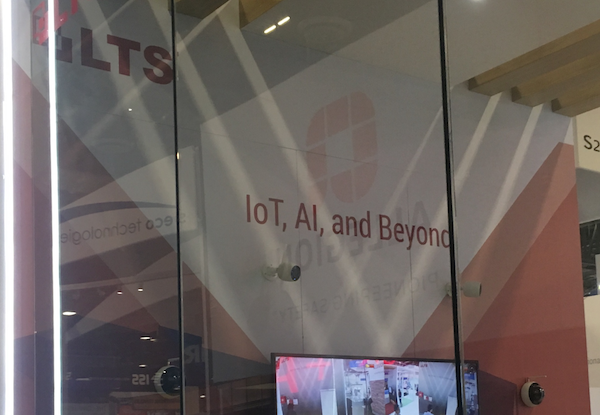 Hikvision literally buried their AI / deep learning products in the back of their booth, using the prime real estate to focus on conventional cameras and video management, which makes perfect sense given what can be realistically sold and supported. 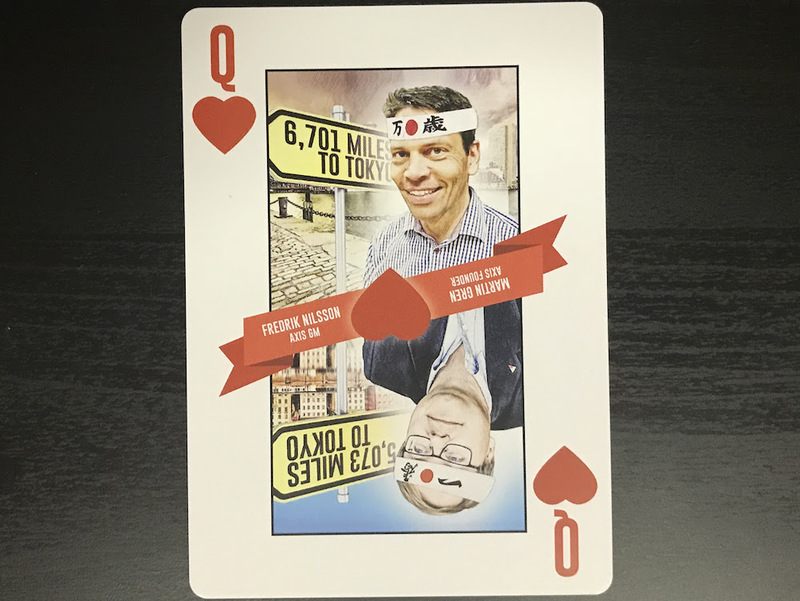 While Hikvision's pre-show marketing emphasized 'business intelligence' in the actual Hikvision customer ad campaign, the actual show itself focused on the fundamentals. 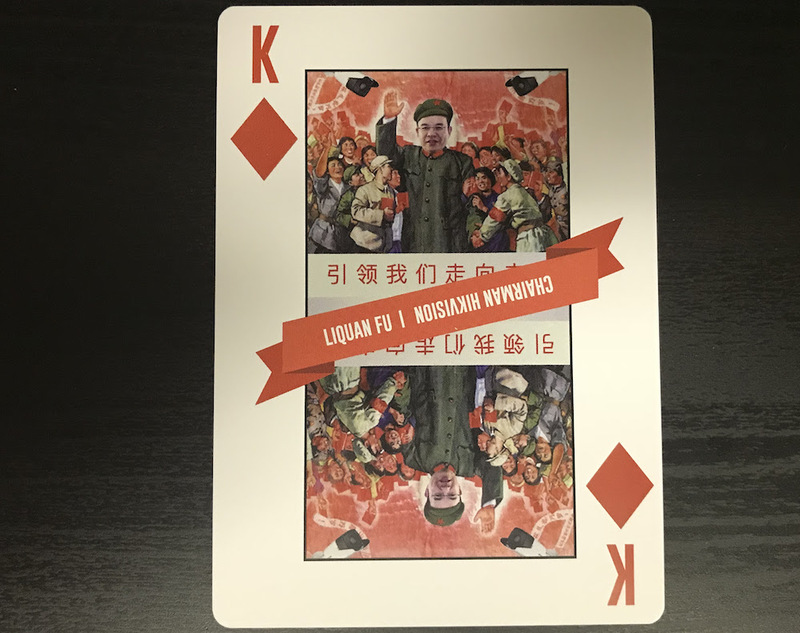 This is yet another example of where Hikvision bests Dahua by having a mature international organization that is empowered to make decisions for local market conditions. 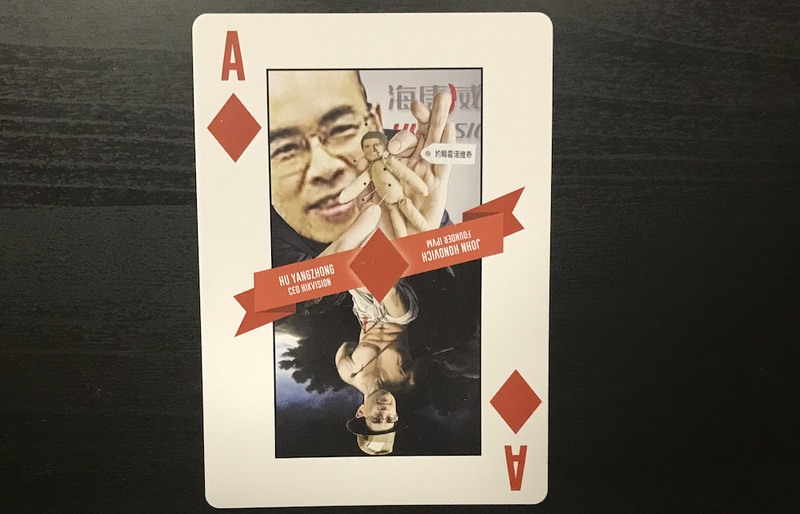 Hikvision is certainly right to go all in on AI in China but it is the wrong move in North America, something that Hikvision executed correctly, while their smaller domestic competitors failed. 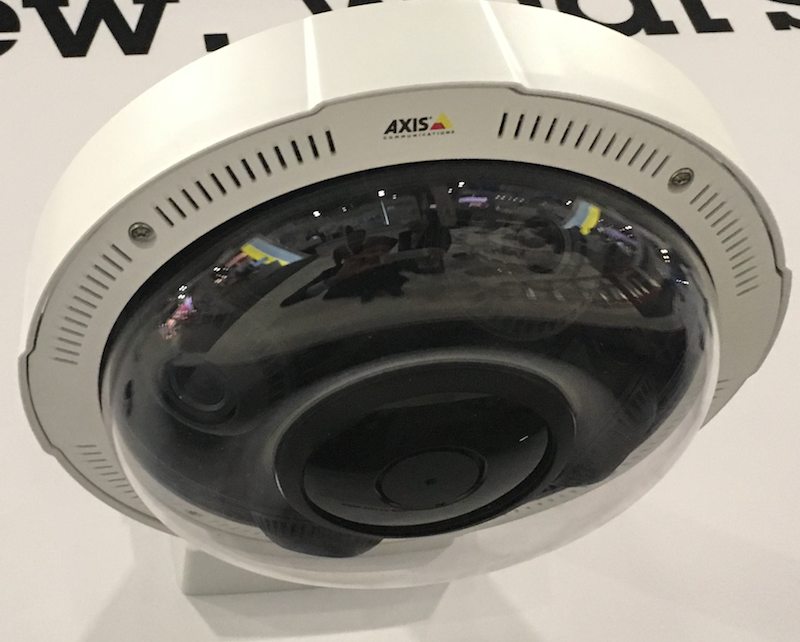 Axis had a slew of impressive new product offerings, e.g., an Axis mini concealed IR PTZ that radically reduces the size of IR PTZs and eliminate the problem of external IR LEDs that give away the aiming of the PTZ to threats. Plus Axis has launched a ~$100 HD camera, also miniature, and Axis best counter to the Chinese for the budget market. Moreover, Axis has launched its first stereographic panoramic, a significant upgrade to its very popular P3707-E and many more. Literally too many to review in short form. This is a big turnaround from last year, where Axis releases where sluggish. Another important point is that Axis pricing of these new products is noticeably lower than their previous pricing. The ~$100 HD camera stands out, of course, but Axis has suddenly become price competitive on many of these new lines. The more Axis can close the price gap on their Asian rivals, the easier it will be for Axis partners to win against lower-cost competition. Any Hikvision or Dahua dealer reading this would rightfully dismiss the headline as even the lowest cost offerings have come with IR standard for years. Releasing a range of IR cameras in 2013 might have counted for news but Axis is just late to IR. What is potentially impressive about what Axis is doing here is the specific advances (like the IR PTZ mentioned above, as well as the IR stereographic panoramic, the new IR mulit-imager, etc.). Does Axis really believe that is their main differentiator? It is not a fluke, their trade magazine ads focus on the same thing. Why not focus on their technological advances or differentiated products? Understand the everyday? What does that mean? Is that something people are really concerned about? Now, in fairness, it is better than falsely advertising eliminating false alerts but Genetec has gone to the other extreme. 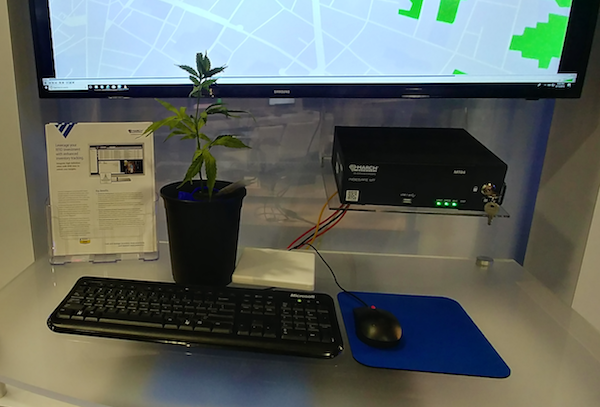 Genetec makes very advanced software (VMS or whatever term one wants to use) but instead of marketing how sophisticated and powerful Genetec's software is, they confuse and downplay their offering. And then they wonder why many dealers say all VMS software is the same or the features that Genetec have are never used anyway. This is evidently Genetec's 'thing' but given how much they spend developing software, they should try to match that with stronger marketing that makes clear what their software can do. 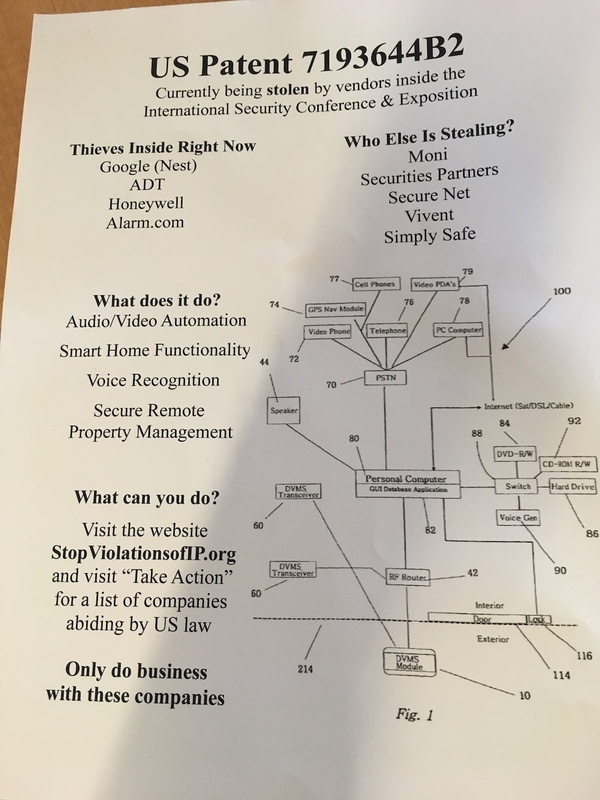 We spoke to these protesters and learned they are here on behalf of Revolutionary Concepts, Inc., which has launched a campaign (stopviolationsofip.org) against companies they feel infringe upon a patent (US8897433B2) for an IP based doorbell/intercom. The protesters appear to be paid, (1) because who is so passionate about such issues and (2) when we talked to the protesters they said they were told not allowed to speak to people and referred us to the one manager who did speak to us. 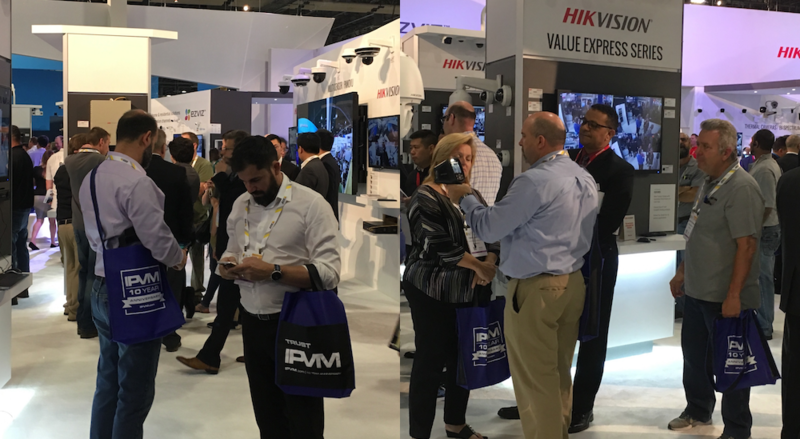 They stil face formidable competition on the quality side with Axis and on the seemingly unlimited resources of Hikvision. However, Hanwha has clearly moved itself into the top overall tier of video surveillance manufacturers. This company, Divvy, was wandering around the show floor, paying cash for leads, handing out about $600 on day 1 for ~250 leads. We do not recommend generally handing out $1 bills (unless your Longse and you are trying to make the point that you can buy IP cameras from them for a $1). With this company, they were relating the $1 bills to how they handle expense management and the potential to get 1% cash back. Most exhibitors go for standard giveaways - bags, lanyards, pens, etc. 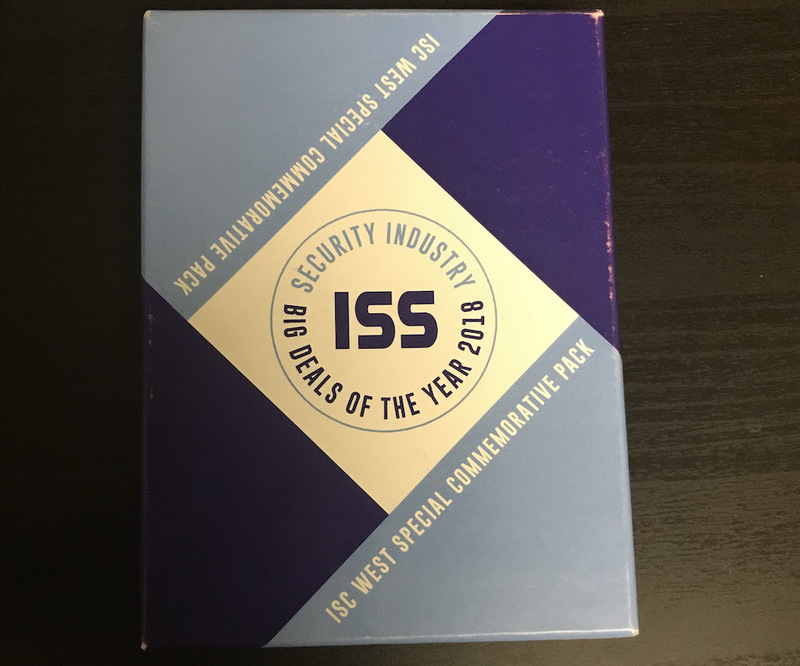 Not VMS / video analytics developer ISS. 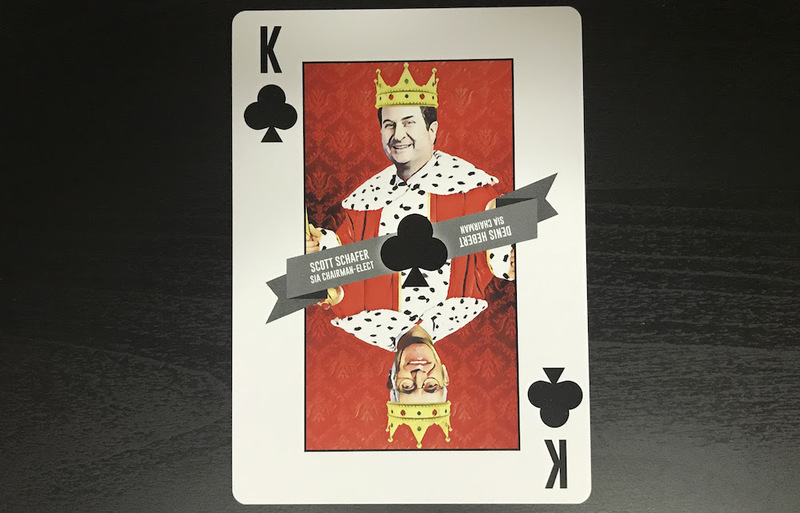 Related, Schafer is now pedaling consulting services, if you are interested in running your company into the ground. 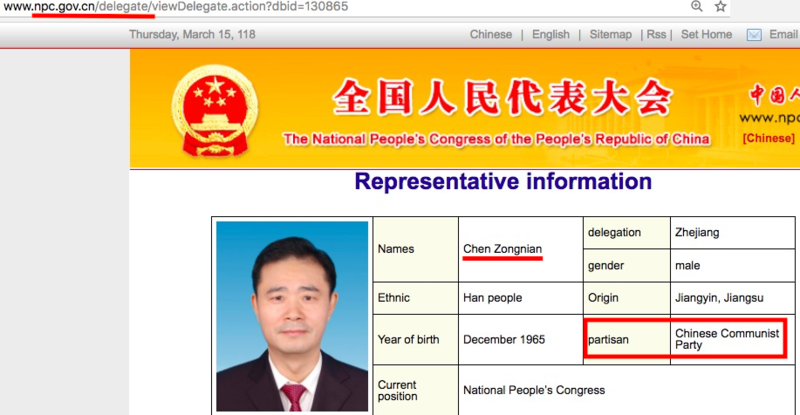 Fu is actually the founder of Dahua, blood rival of Chinese government-owned Hikvison. 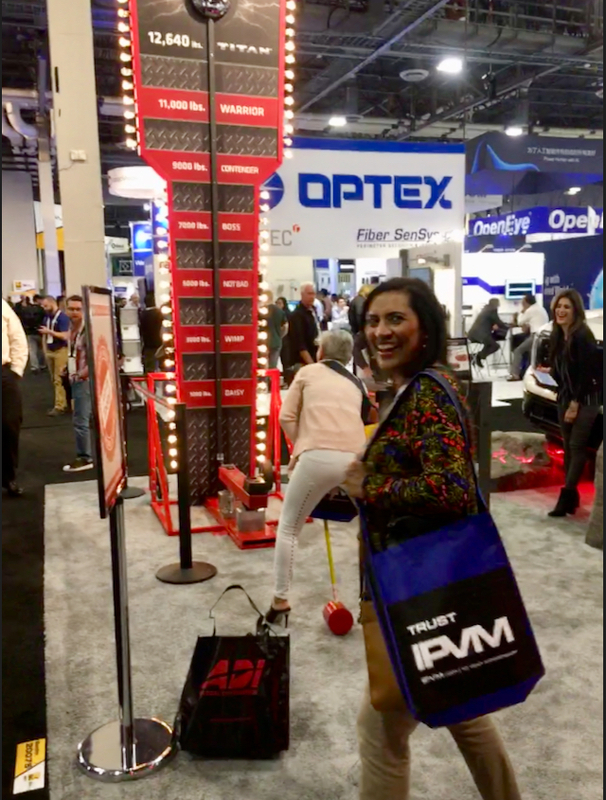 One manufacturer (Anviz) is working around ISC's new ban on booth babes by playing this video of a woman installing their door lock on loop. 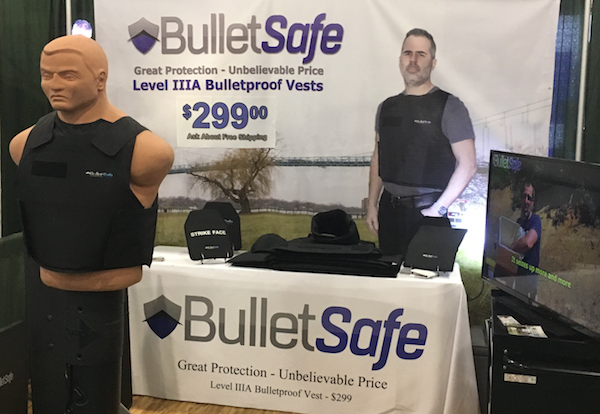 Unlike 2017's The Sleaziest Booth Of ISC West, this year Rapid Response has no booth babes. 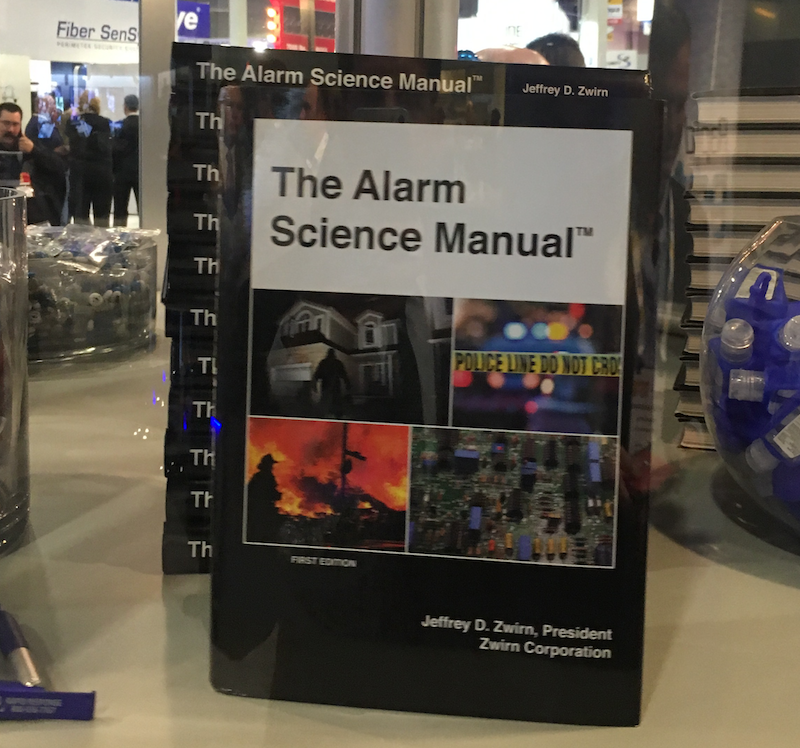 Instead of booth babes, Rapid was giving away the Alarm Science Manual, written by IPVM infamous commenter Jeffrey Zwirn. 3 years after Canon acquired Axis, Canon branding is nowhere to be found. See below. 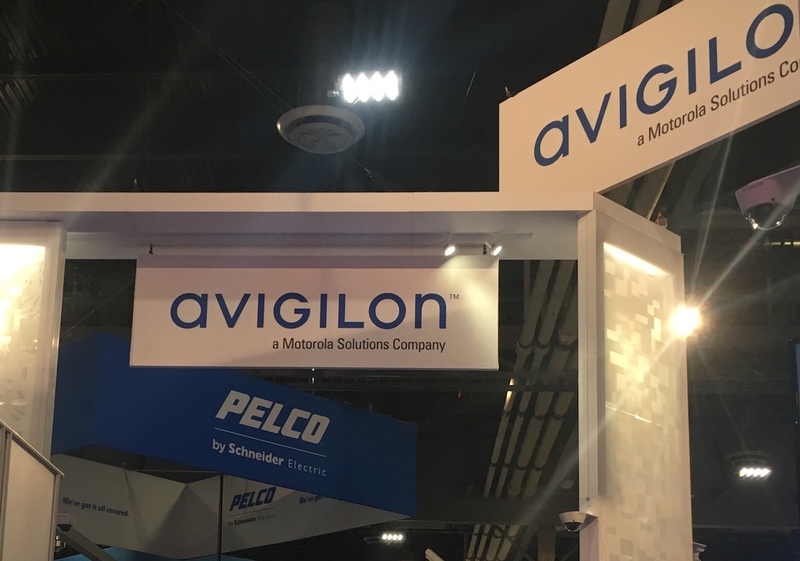 Coincidence or will Avigilon be the new Pelco? The prize for winning the bell? Nothing, it was just for fun. 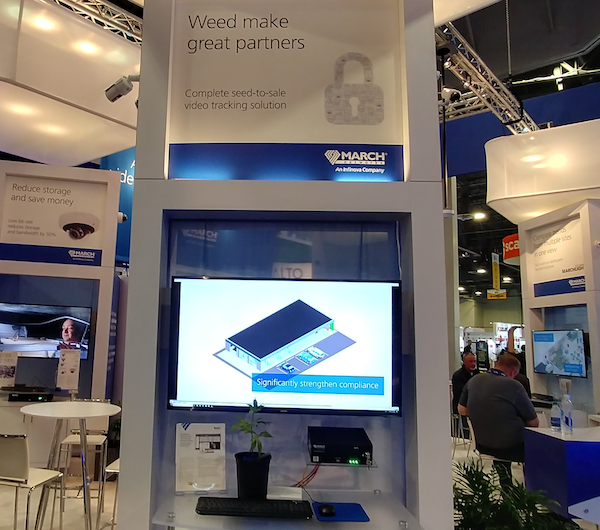 March Networks Says "Weed Make Great Partners"
Including a live plant under the monitor. 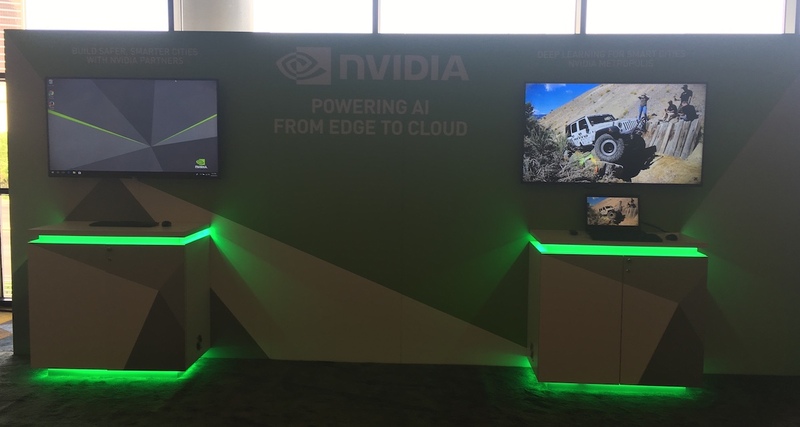 In the Emerging Technology Zone, startup Viisights was showing their deep learning analytics. Most novel, they claim to detect fights, riots, humans throwing objects, and other specific behaviors typical analytics do not. Viisights has raised about $2.5M in funding so far. 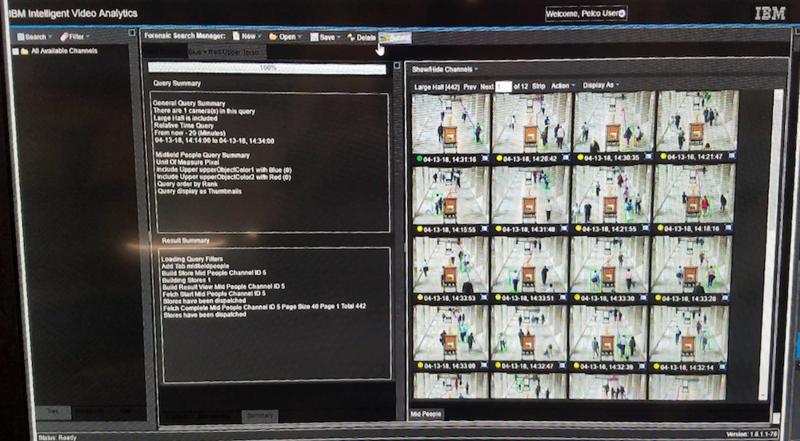 Pelco has integrated IBM's deep learning video analytics to their VideoXpert VMS. Objects are searchable by color, clothing, size, and other metadata. 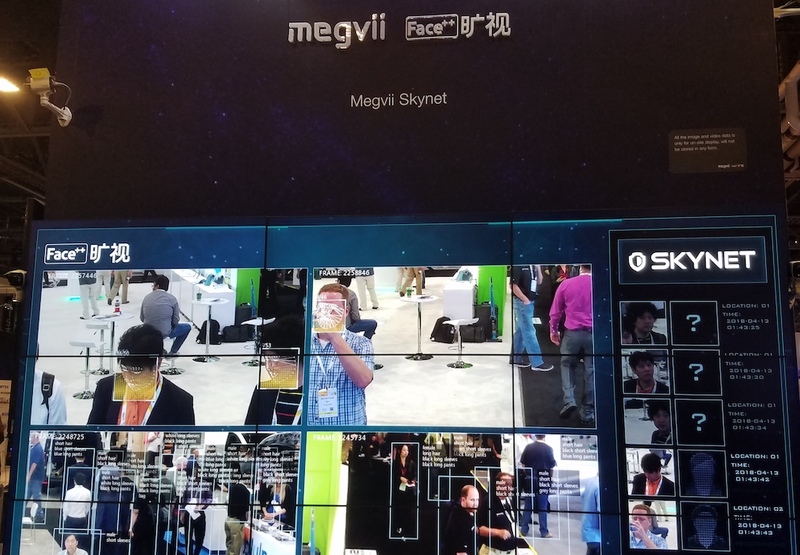 Megvii Face++, one of China's 2 monster facial recognition startups was at ISC West, this is their first year marketing in North America. Their main offerings are server-based and cloud-hosted analytics. 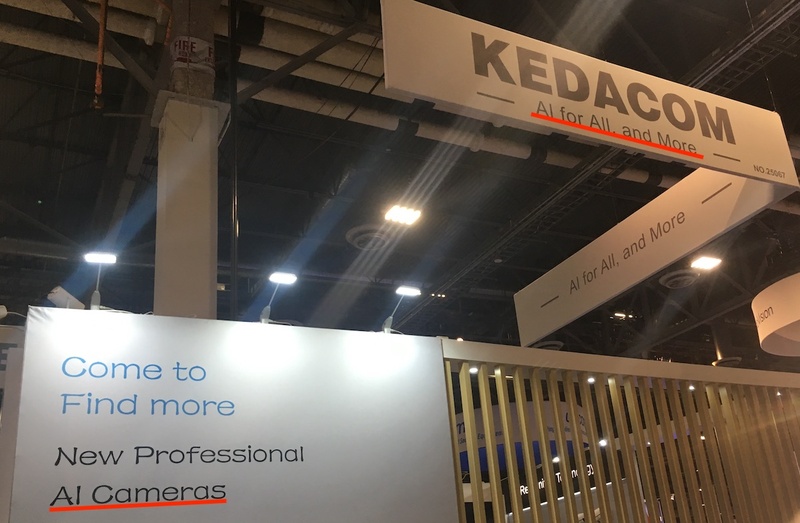 The offer their own cameras or support 3rd party cameras streams. They are marketing AI-based analytics, offering clothing, hair length, gender searching, with the unfortunate name "SKYNET". Most of their analytics offerings are non-learning analytics. API integration is available and they have worked with "large Chinese NVR/VMS Manufacturers" with their cloud-hosted analytics in China. 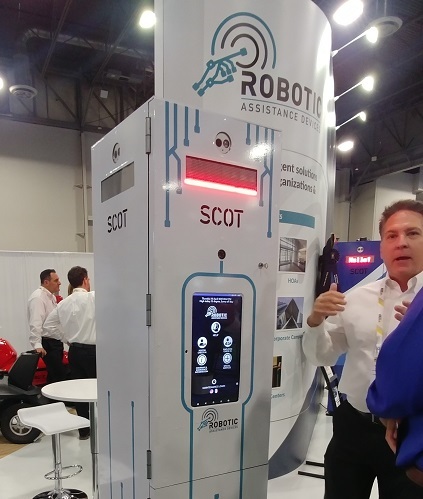 Horizon Robotics, another Chinese AI startup, was also displaying at ISC West. 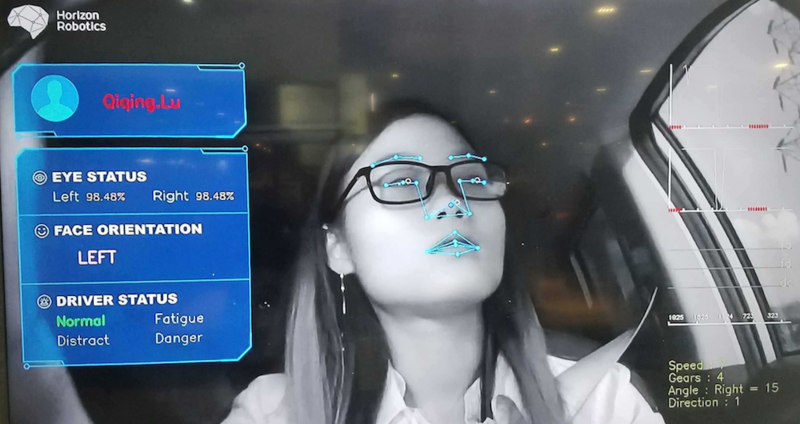 Most interestingly, they were claiming to detect driver fatigue and distraction, shown below, based on the position of drivers' eyes and other facial features. Horizon Robotics manufactures processes for embedded device use (cameras), as well as PCIe board for NVR/DVR use. They also offer their own camera with analytics on board, priced at ~$1,000 USD. 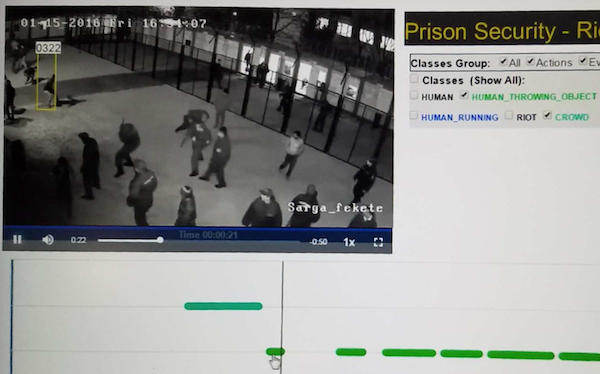 Brainchip, an Australian based analytics manufacturer, focus on a specific technology Spiking Neural Networks (SNNs) based video analytics. They developed and manufactured their own FPGA processors which they build into PCI-E add-on cards installed in COTS servers. They provide all integration services for installation and support. 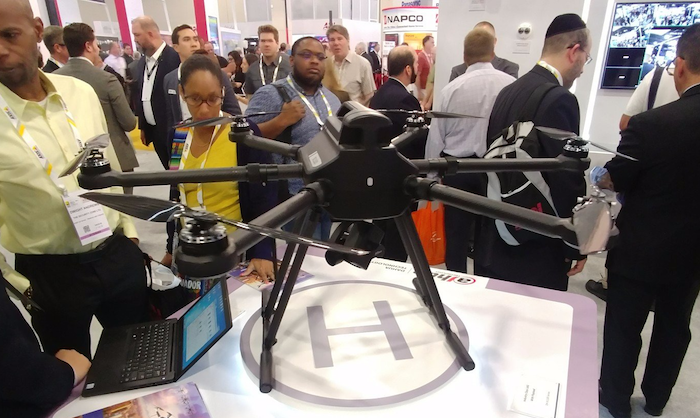 The analytics are sold as a perpetual license at a cost of $4,000 per camera and sell direct to large law enforcement groups and US Department of Homeland Security. Gorilla Technology, founded in 2001, their primary market is retail focused cloud-hosted video analytics in Asian markets. 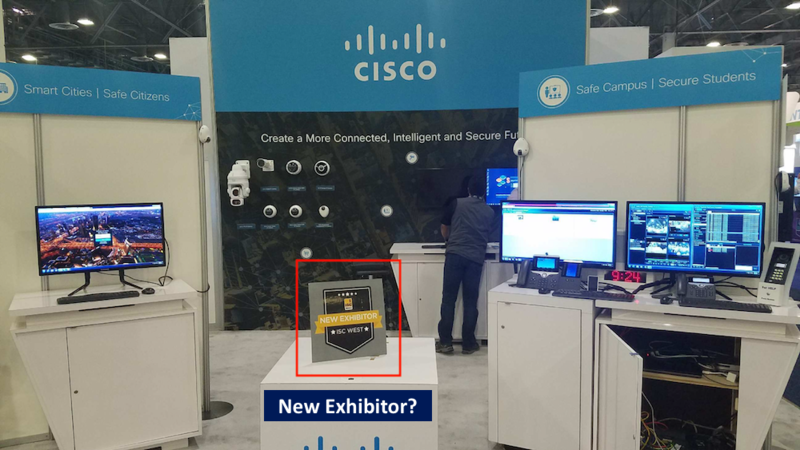 2 years ago, they expanded to public safety with LPR and Object Detection. 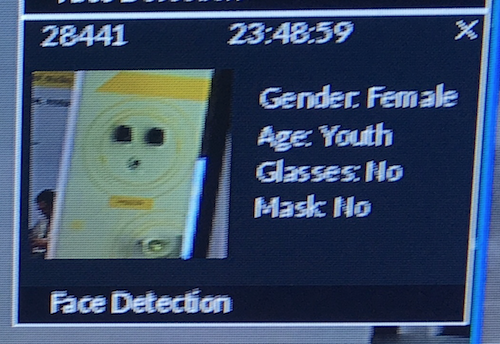 They offer video search filters based on a person's age, gender, hair and clothing. Their analytics can be run with on-site servers or Amazon cloud hosted. 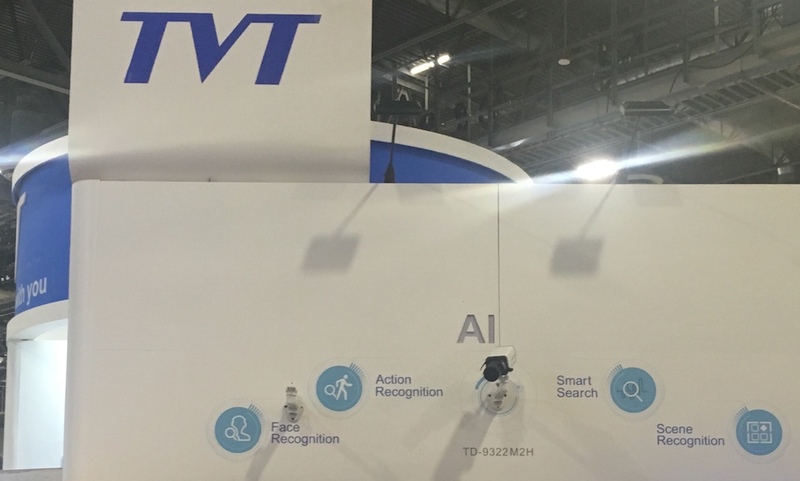 They offer an API for integration to 3rd party VMS platforms, and support streams from ONVIF cameras. 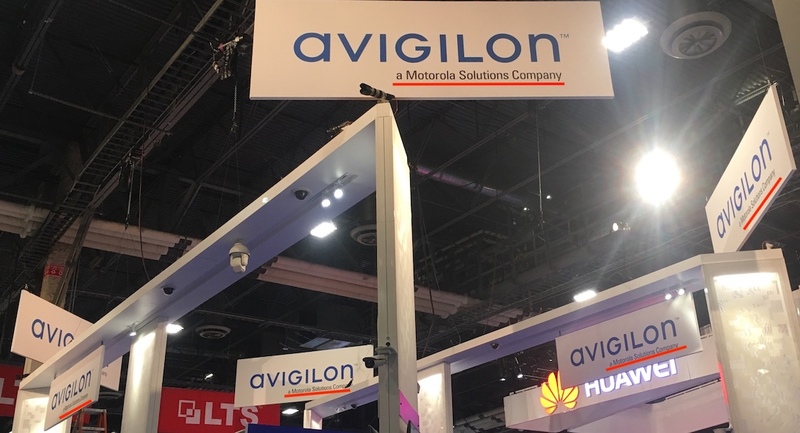 While that webpage is informative about Avigilon's activities at the show, it is questionable how many show attendees are going to actually go to that page after seeing this (well, outside of us). Knightscope is not the only company marketing a robot that does not move. 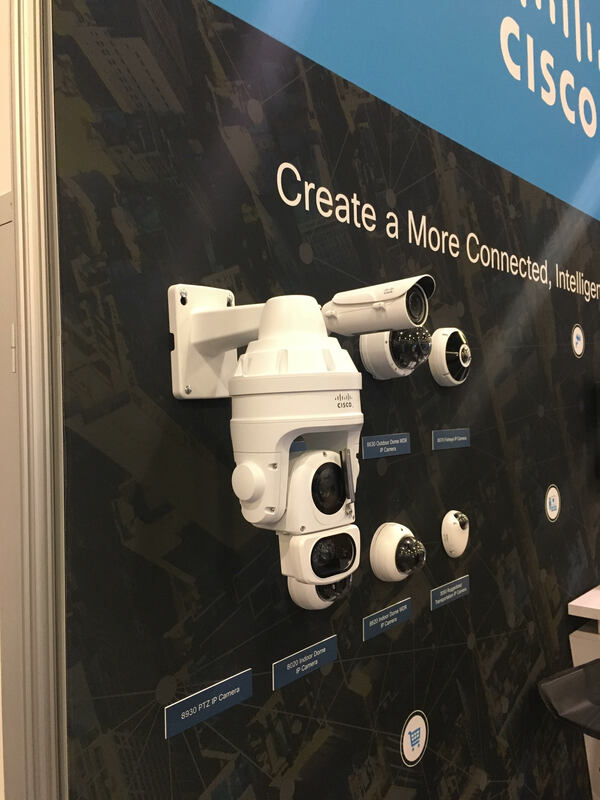 RAD is aiming to replace security guards with SCOT (Security Control and Observation Tower) below, including 4 interchangeable cameras (using Hikvision on this model) with a VMS (Milestone) plus detecting MAC addresses of phones nearby. How it replaces a guard is unknown to us. The box / SCOT runs on battery power and is pitched as being deployable without any supporting infrastructure. 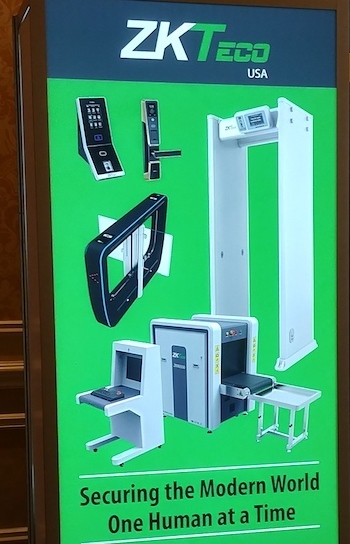 Axis displayed the P3717-PLE, its next generation beyond the 'sold out' P3707 repositionable multi-imager camera. This one includes motorized lenses, integrated IR, WDR, and more for just ~$150 more than the P3707. We plan to cover this and the P3807, another new multi imager model, later. 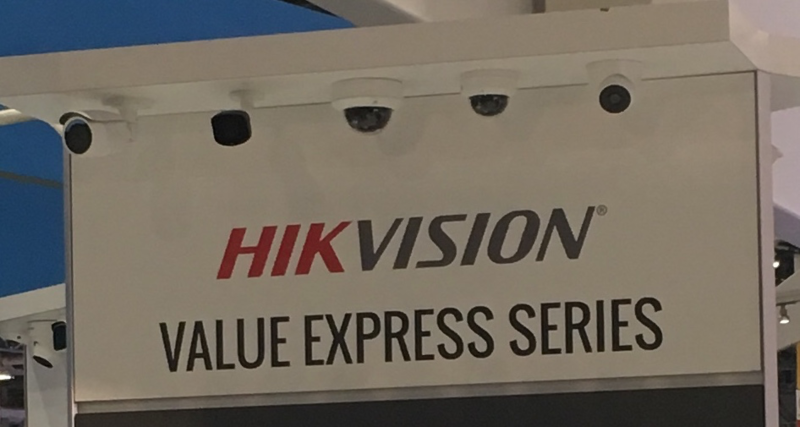 Hikvision has announced a new line, the Value Express series, promising to be even more cost-effective than the current Value/Value Plus lines. Bad news for Axis' $100 camera? More details to come. 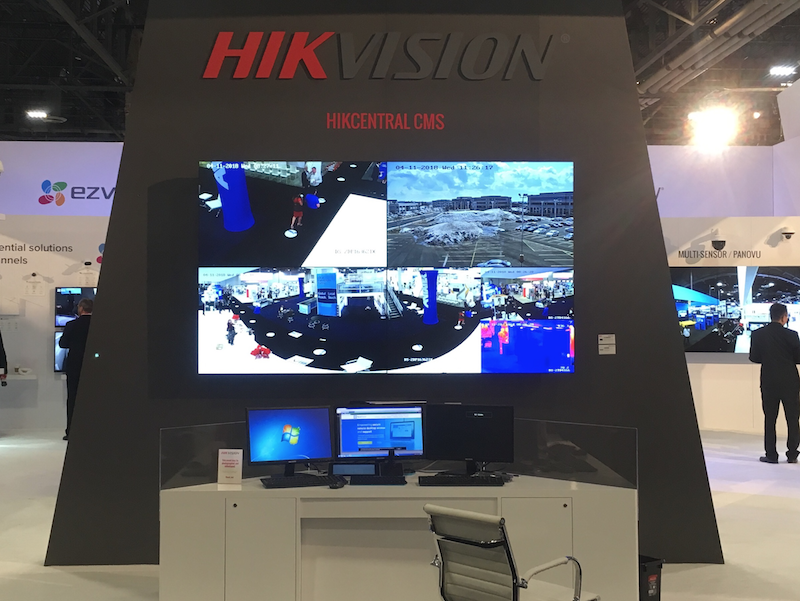 Hikvision's HikCentral CMS/VMS is the central display in their booth (no pun intended), instead of cameras/recorders seen in past shows. 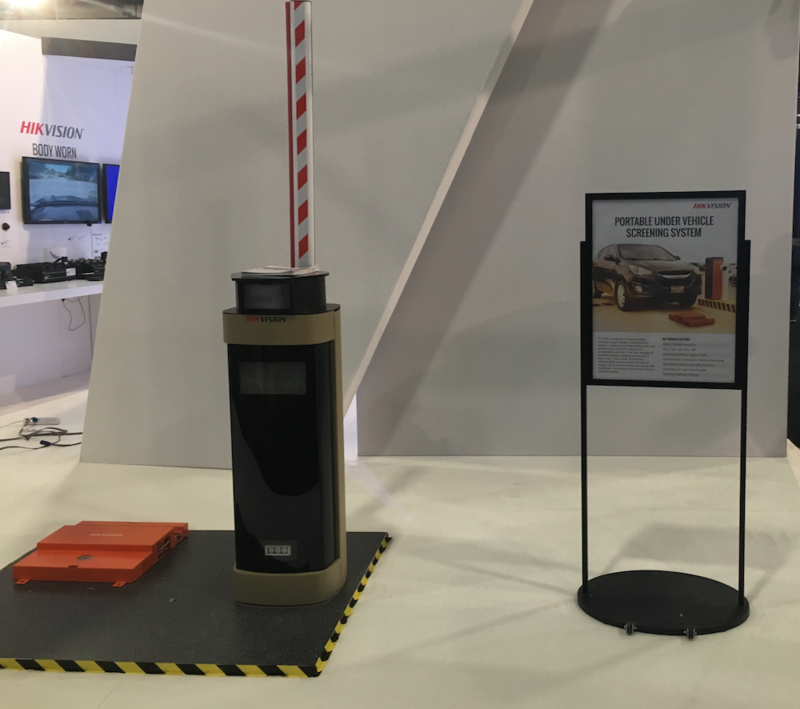 Hikvision is also prominently featuring their Under Vehicle Screening System, relatively new to North America. 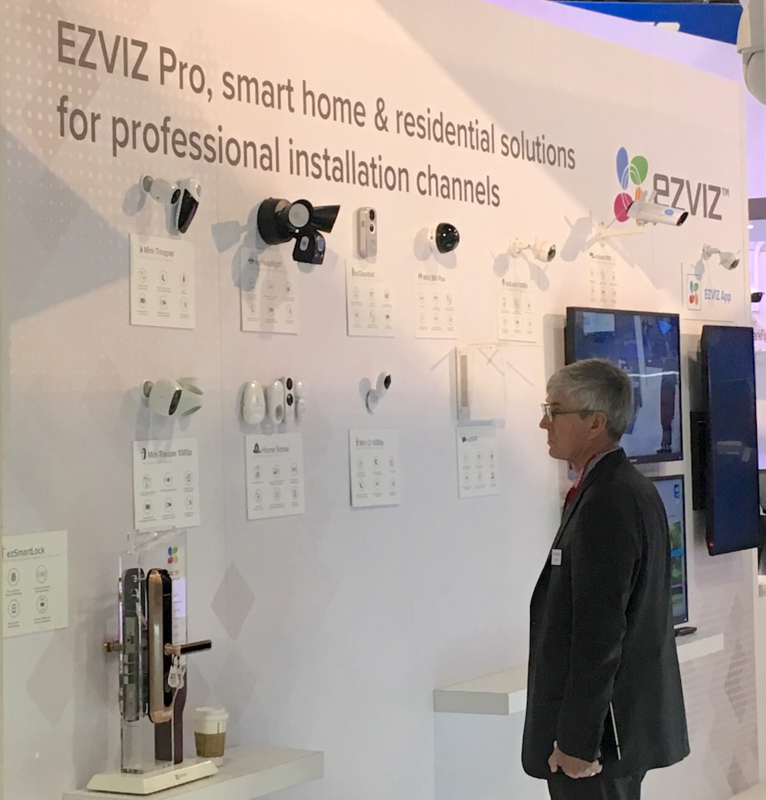 Contrasting with the higher-end CMS/VMS and UVSS, Hikvision is dedicating a wall to Ezviz Pro, which they market as intended for professional channels, and featuring several products not seen before in North America, including a floodlight camera, doorbell, door lock, and upgraded Mini Trooper. On the plus side, that shows how Hikvision can drive business. On the negative side, that underscores how much Hikvision is spending. Sustainable? 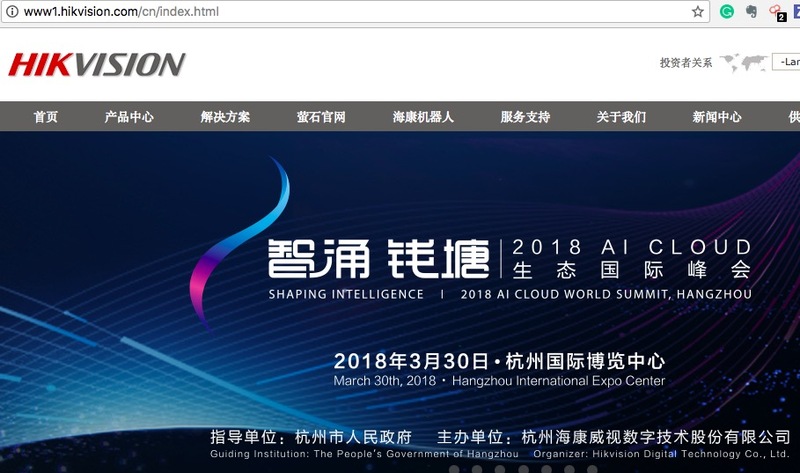 Hikvision OEM/distributor LTS, on the other hand, is already "beyond" AI. Huawei only showed chips, as they previously did under their subsidiary HiSilicon's name. 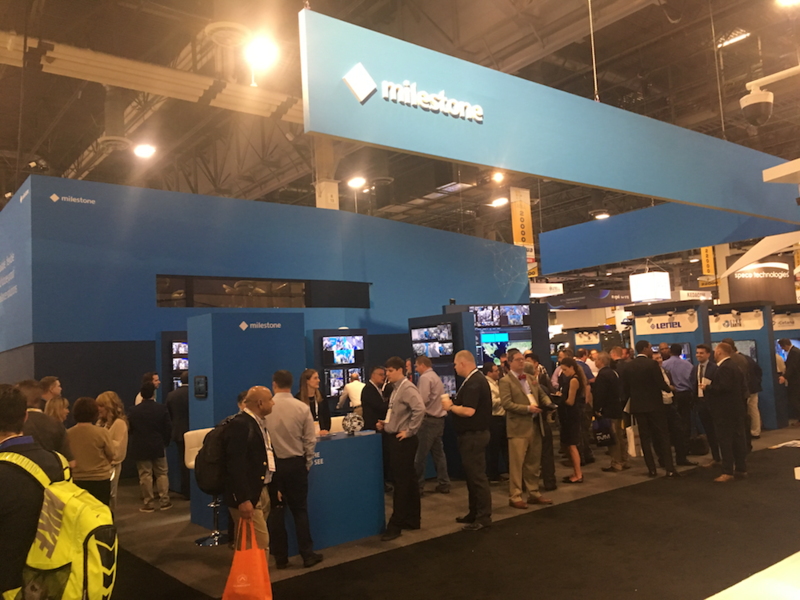 The booth was essentially changed in name only, with no integrator/end user products on display. 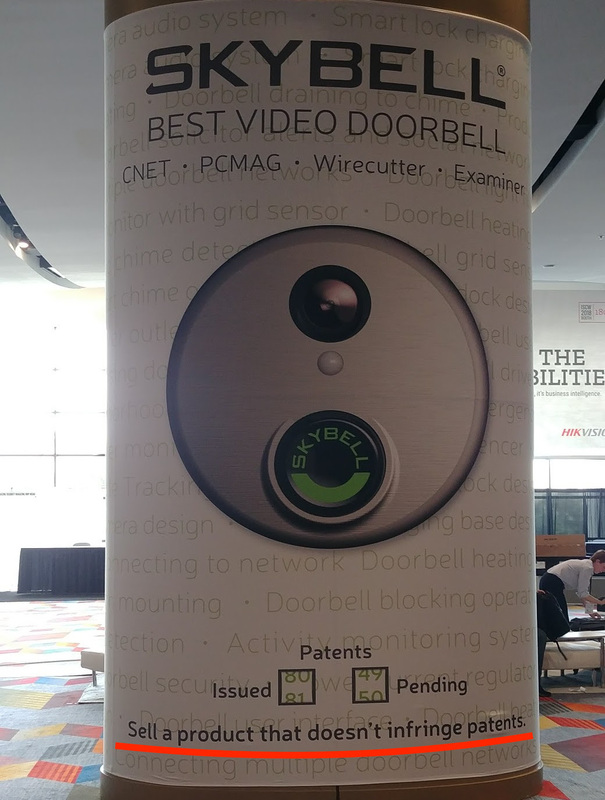 With 2 big ads totaling ~$30,000 on the way to the show floor. 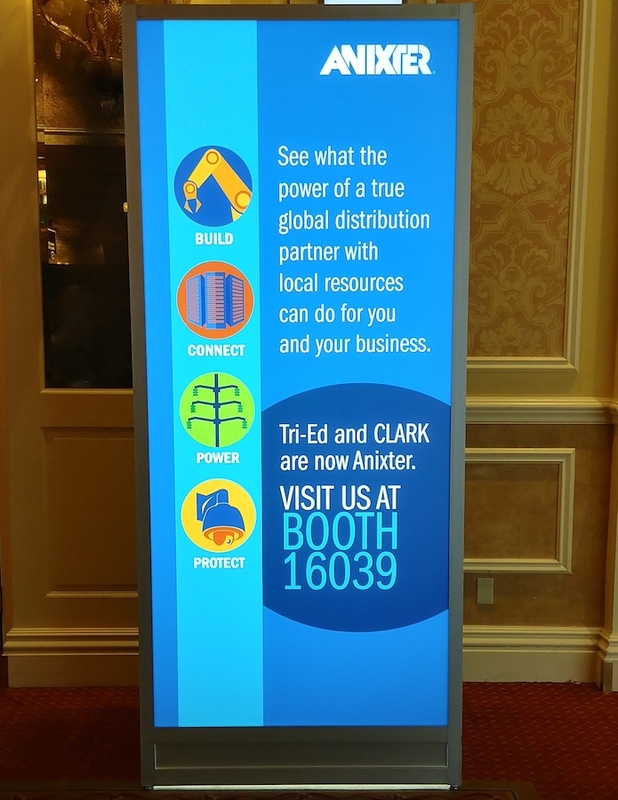 Hanwha had a gigantic banner over the main entrance to the show floor. 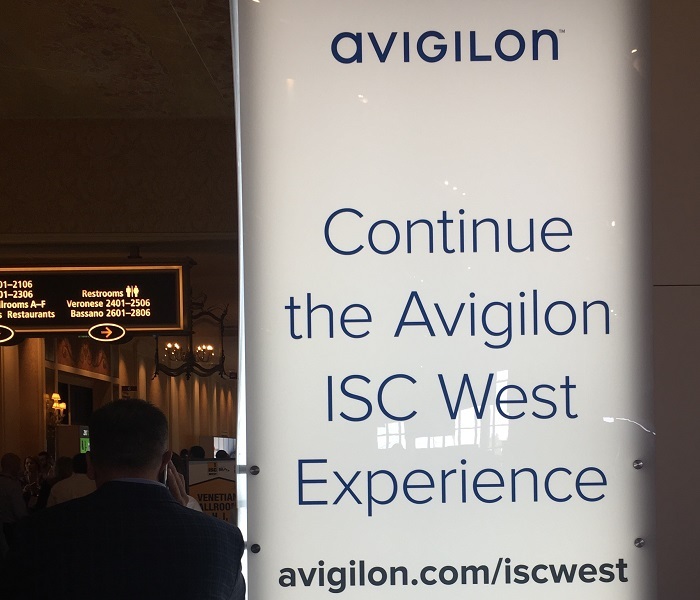 Unlike most ads in the show, this one actually focuses on new products they are developing, with a strong ISC West 2018 release. This is consistent with UTC's increased cross-selling of the 2 once strong brands. Plus, gone are the days of Cisco's huge booths. This time, they came back with a smaller presence and, oddly enough, a "New Exhibitor" plaque in the booth. 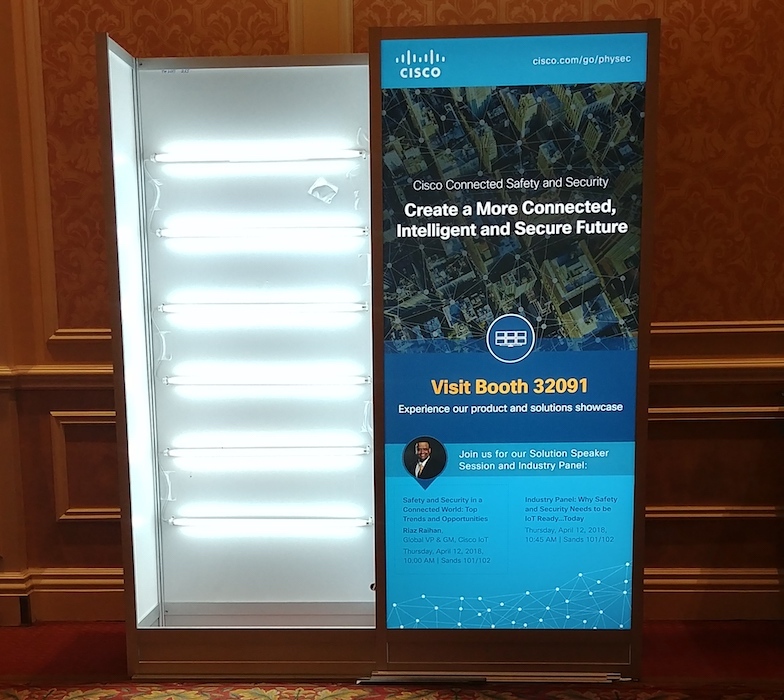 2017's Cisco Meraki booth apparently does not count. Anixter security also has a new head with longtime Tri-Ed leader Pat Comunale retiring. IFSEC is next in June. For the first time, IPVM will be covering it live from London. For Americans, next up is ASISGSX, back in Las Vegas, but how many industry people will return just 5 months later remains to be seen. Comments (77) : PRO Members only. Login. or Join.